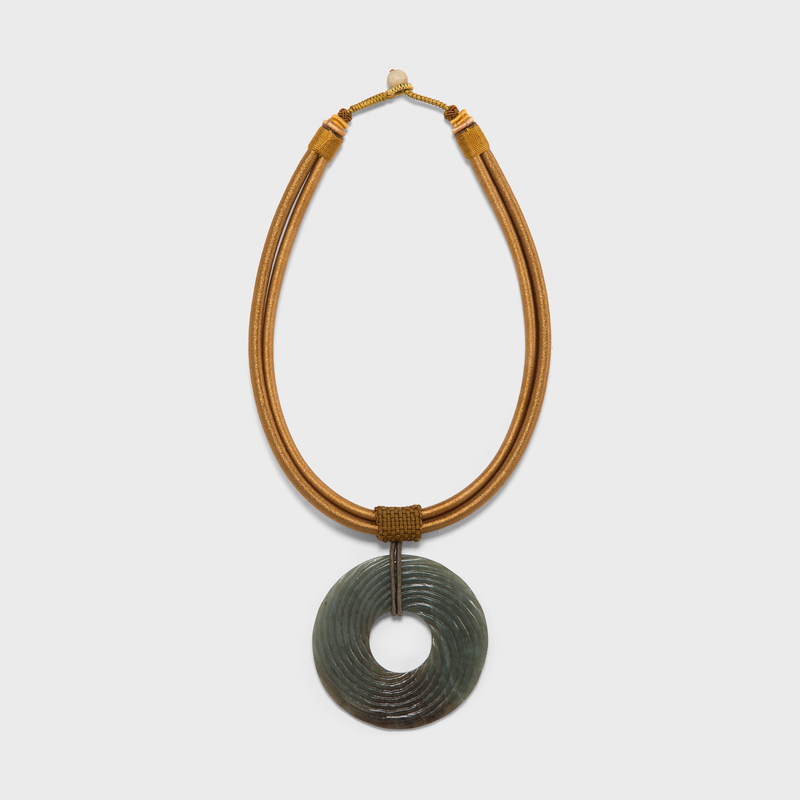 Jades have been cherished for thousands of years for their rich heritage, beauty, and rarity. 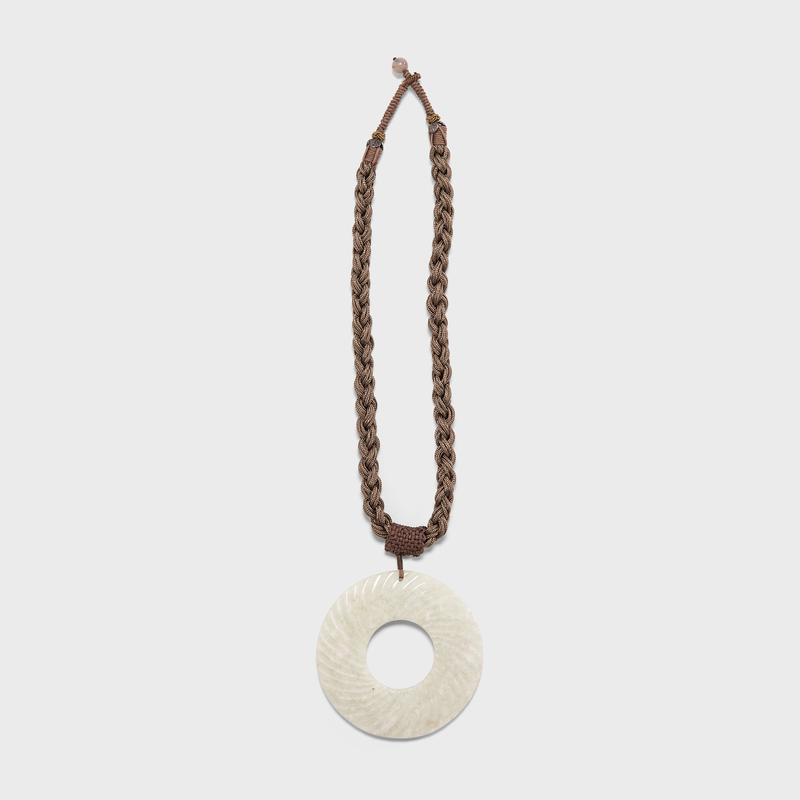 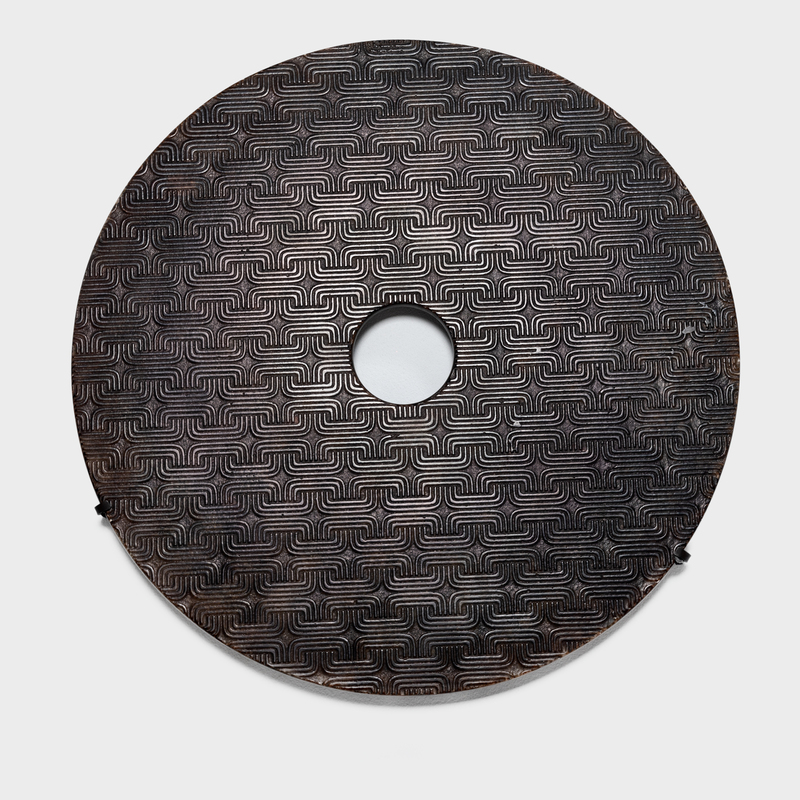 Known as “bi,” these round discs date all the way back to the Neolithic era and are believed to be associated with Heaven. 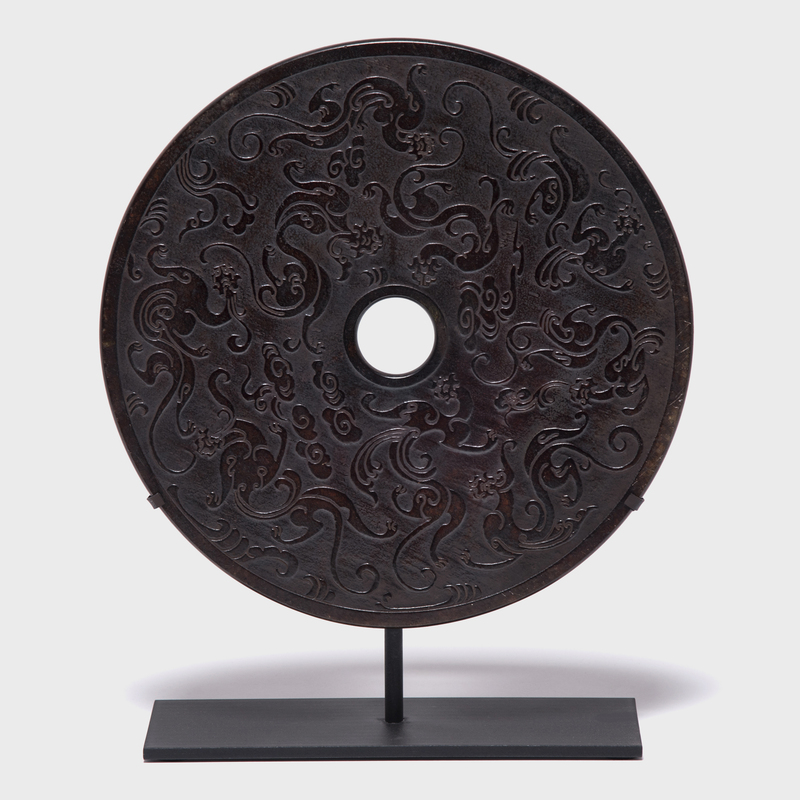 Found in the tombs of ancient Chinese emperors and aristocrats, bi discs have a mysterious and spiritual history, and their function and significance remain uncertain. 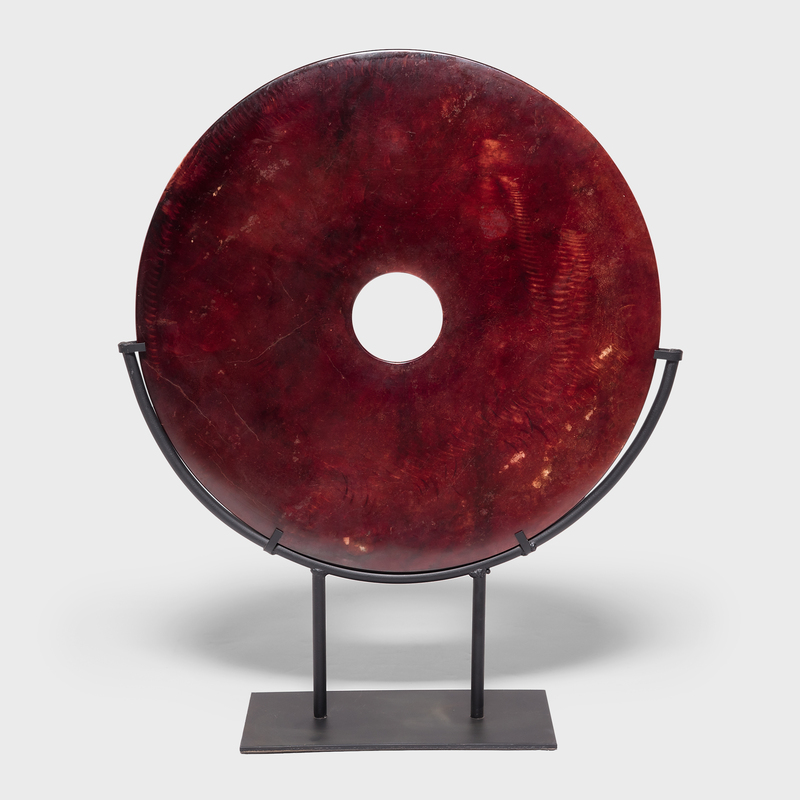 Set on a custom steel wall mount, this contemporary jade bi disc is finely carved with an interlocking meander pattern, adding graphic impact and rich texture to a modern interior.